World Partnerships Alumni In Action! Connecting. Collaborating. Educating. Engaging...Changing The World. This section is dedicated to the work of World Partnerships alumni, the "New Generation" of global leaders. 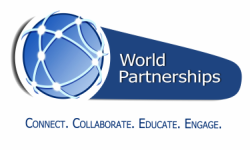 Click below and learn about World Partnerships alumni projects throughout the World! World Partnerships Alumni At Work!